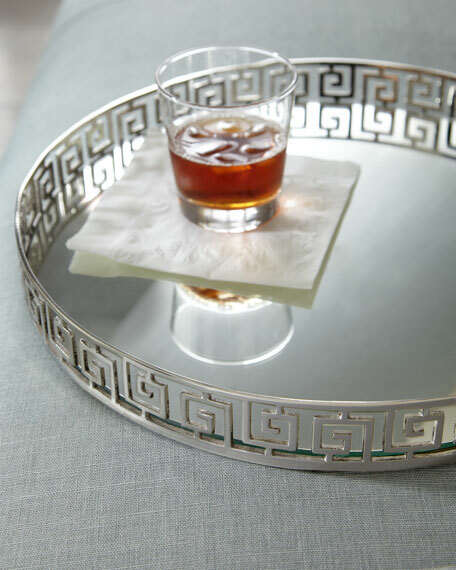 Handcrafted mirrored tray can be used for serving or placed atop an ottoman. The easy clean mirror will not stain. Made of iron and mirrored glass.